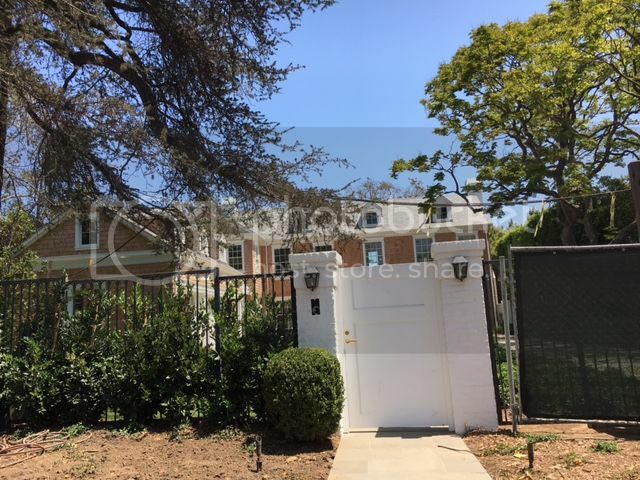 I have to say, imo, that Kristen did a LOT better on this seller house than the first one which they inhabited themselves. But I'll pretend to be one of those goons on the show House Hunters. The rooms are kinda small and good God those countertops have to go. The appliances are so outdated. I cant even stand to look at that paneling on the ceiling. The pool is nice but sort of on the small side. A little to " White" for my taste. Ok for a few rooms but a bit much. more coverage of the house and info on some other real estate holdings, including the next house project his wife is doing. HIs celebrity helps support their real estate dealings. Last edited by bombaysaffires : 08-03-2017 at 07:41 PM. I get that a "half bath" is a toilet, but what the heck is a quarter bath? Or is it a three-quarter bath? This home has 3 half bathrooms, which in America is usually a toilet and sink (same room) often near entertaining areas (guest washroom). No shower or bathtub. There are also homes with three-quarter bathrooms, which are toilet, sink and shower in one room. We have one of those-it lacks a tub so is sometimes called a three-quarter not a full bathroom (4 parts: toilet, sink(s), shower, tub). It's all in one room, one door. We have another with a separate toilet within the larger washroom and so on. In my time in America I haven't encountered as many separate toilet rooms (where the toilet is separate, shower separate etc) as in other parts of the world. Last edited by jenniferuk : 08-13-2017 at 09:49 PM. I've been accompanying house-hunting friends as they look for a place in LA. We saw the listing for this house and on a lark we checked it out, at least from the outside. At an ask of $22.5 million, they didn't even try and schedule an appointment to see the inside. I have to say though it looked rather smaller than expected in person. Last edited by bombaysaffires : 08-14-2017 at 07:23 PM. Trying again. Is this to finance his new album/tour? 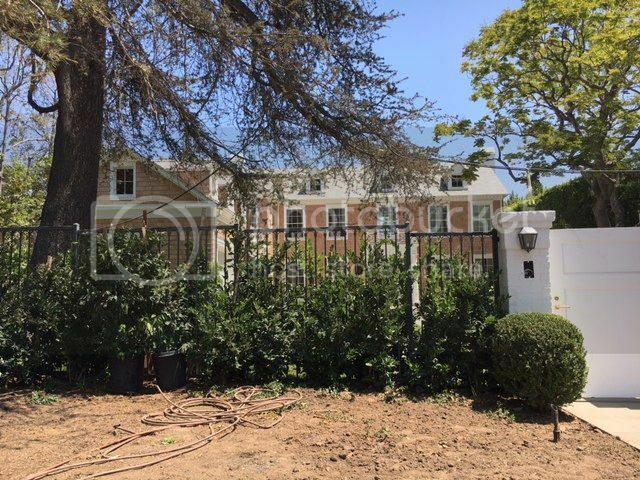 Following a six-month hiatus, Lindsey Buckingham has put a newly built home in Brentwood back on the market at its original $22.5 million asking price. That’s one way to refresh a listing. The longtime Fleetwood Mac member bought the property five years ago for $5.8 million, but the new build was completed last year. The modern Georgian-style three-story house has wood-shingle siding, dormer windows and white trim that pops against the light brown exterior. The white-walled interiors include formal living and dining rooms, dual kitchens, a library, six bedrooms and 10 bathrooms. A screening room features a marble-topped bar and screening room. A guesthouse sits across from the swimming pool for a total of close to 11,000 square feet of living space. Terraces, a fire pit, an outdoor shower, lawns and mature landscaping complete the three-quarter acre of grounds. Buckingham, 68, gained fame as the frontman and lead guitarist for the British American rock band Fleetwood Mac. He was inducted into the Rock and Roll Hall of Fame as a member of the group in 1998. As a solo artist, he has released nine albums. A toilet with a bidet? haha i was thinking exactly the same - needs some money, a good sign that he's thinking solo tour and needs to finance it! maybe just a toilet without a vanity? a three-quarter bathroom is a toilet, sink, and shower. A full bath has a tub and a shower (can be tub/shower combo or separate tub and shower). If a house doesn't sell, it means that buyers don't see the value of the house for the price the seller is asking. It means your price is too high. To re-list the house again with no change in price is a sign of seller denial, and I'm more than willing to bet their agent wanted them to come down a bit. However, they took FOREVER to renovate this house-- over 4 years, and no expense was spared on the interior details and all the staging furniture etc. Too much, IMHO. They have HELLA costs to recoup on this house-- the carrying costs (i.e., the mortgage payments) for FOUR YEARS is insane. I mean, he's LB, maybe they paid cash for the original and had no financing costs, but that's tying up a sh&t ton of money for all that time at a lot of risk. I think she went overboard with this one-- my guess is the goal was to get lots of editorial (i.e., magazine spreads) coverage to boost her profile as a designer. Not sure how well that worked. In the original listing it hyped his wife as well as him, now that they're re-listing they talk only about him, clearly hoping the celebrity connection will help sell it. I'm betting they will need to drop the price or this will continue to sit. The longer a house sits, the more it generates a reputation as a white elephant in the real estate community, and the fewer people are willing to touch it. My bet is this will eventually have to sell at a significant price reduction.